I haven't had piece in a gallery in a long time. 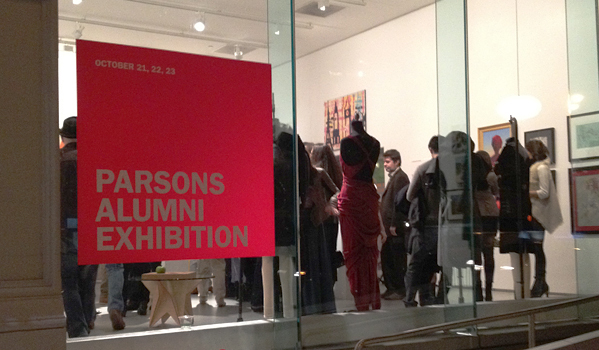 I was delighted to make my return in October at Parsons' inaugural alumni exhibition. 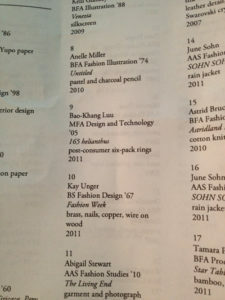 I was truly honored to be included with such a talented bunch! 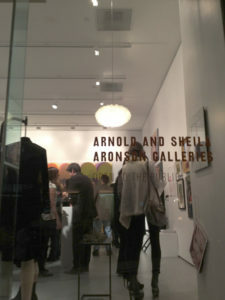 The place was packed with guests, alumni, and wonderful works of art and design. 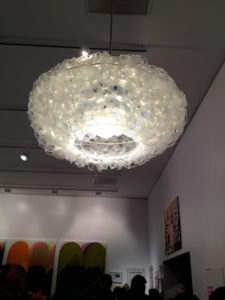 The Helianthus pendant light was hung in the corner right in front of the gallery windows. 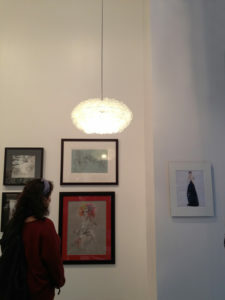 It illuminated some truly exquisite illustrations from some of today's most talented artists. It was great to see a great variety of work showing how multidisciplinary the creators are. Just because you study one art form doesn't necessarily mean you can't create in a completely different medium. Like many of the other alumni I too have evolved over, having started in graphic design, moving onto dance, and then to interactive technologies. With Relevé Design I'm exploring new materials, techniques, and art forms every single day. Stay tuned and subscribe to the Relevé Design blog to see what I'm up to!